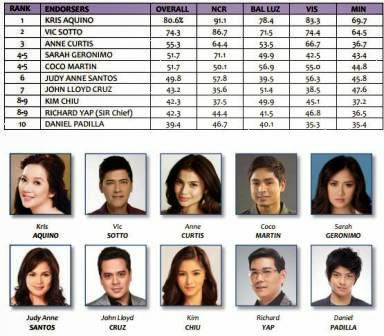 Kris Aquino and Vic Sotto are 2013 Top Trusted Celebrity Endorsers! 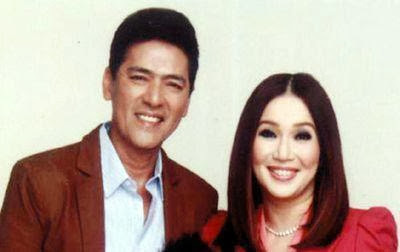 Kris Aquino and Vic Sotto were paired for the first time in the big screen via the MMFF 2013 comedy flick "My Little Bossings." The said film led the box-office race for the first day of showing. Aside from that, Kris and Vic also led the Top spots as this year's most trusted celebrity product endorsers in a poll survey conducted by Stratpolls.com.